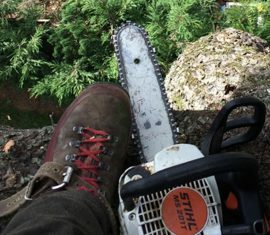 Welcome to Kilcasey Tree Removing Services Ltd.
Kilcasey Tree Services Ltd. is a arboricultural company operated by professional tree surgeons. We operate in Mayo, Sligo and Galway and throughout Connacht and have a reputation for high grade work, friendly service and fair price. Through work with Local Authorities and private landowners we aim to protect and enhance the tree stock of the West of Ireland, in line with Ireland’s urban and rural green policy. Through the use of the latest arborist science and knowledge, with strict safety procedures, we aim to reduce issues of safety and liability with tree issues while enhancing tree health. Trees can be a heaven-sent to your property. They can increase the value to your property. They can decrease temperatures by blocking sun and giving you shade, making it much more pleasant for your outdoor activities. At the same time, they can be a nuisance–if not properly maintained. 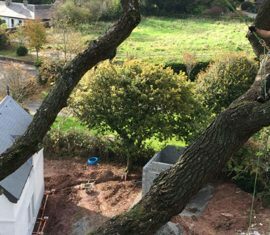 Nobody understands this nuisance more than Kilcasey Tree Services, who offers a friendly and professional arboricultural experience. A great arborist can assess your trees for safety and give you insight on how to keep your trees healthy, and your property value high. Kilcasey Tree Services offers a wide range of services from tree pruning and tree removal. and has been serving Ireland’s authorities and landowners proudly with integrity and high-grade work. To keep your property value higher, a healthy is crucial. Pruning an essential practice, that only a trained Arborist can do. Pruning is removing hazardous branches or stems. Kilcasey Tree Services is properly trained to do this while providing healthier benefits for the whole tree. Not only is it better for the overall health of your tree, but tree pruning also elevates the appearance of your tree and property. When you finally have to say goodbye to an older, dying tree on your property, there’s no better choice to safely remove it than Kilcasey Tree Services. Kilcasey Tree Service has been professionally removing trees and is rank above other tree cutting companies in Ireland. When nature calls, you need a qualified and high-grade tree removal service to answer. Lighting can strike at any time, causing your limbs to break off and possibly damage your home. Storms can also present its challenges as well. That’s why you need someone like Kilcasey Tree Services to be in your during emergency times. Kilcasey Tree Services uses bracing to support and help a tree maintain proper growth. Over time, a tree can lose its form and shape of growth. A cable bracing is necessary to enhance your tree’s health. When a tree is deteriorating, it can be a danger to you and your family. Trees commonly age and wear down over time. This presents opportunities for branches or stems to break off and damage property. Some trees don’t need to need to be cut down, but simply a cable bracing will serve as a better remedy. Don’t let trees grow into your house and scratch windows and the exterior of your house. An Arborist can keep your trees healthy, while informing you of the challenges and dangers that may looming on your property without you being aware. This is because Kilcasey Tree Services understand the art and science in caring for your trees. With Kilcasey Tree Services, they can replenish your trees by offering a variety of proven methods like pruning to enhance tree quality. Healthy trees means healthier air. Healthy trees trap rainwater that can possibly flood your property. If you tree is withering and breaking down, you won’t get the luxury of natural flooding prevention. Trusted with Ireland’s authorities and homeowners. Protects your property while protecting Ireland’s environmental needs. With the latest in Arborist technology, Kilcasy Tree Services can offer tinning, crowning, and pruning to your trees, which is essential to a tree’s vibrance. There is no friendlier and more qualified option for your tree removal and tree pruning needs. Contact Kilcasey Tree Services and find out how and why Ireland has chosen us.